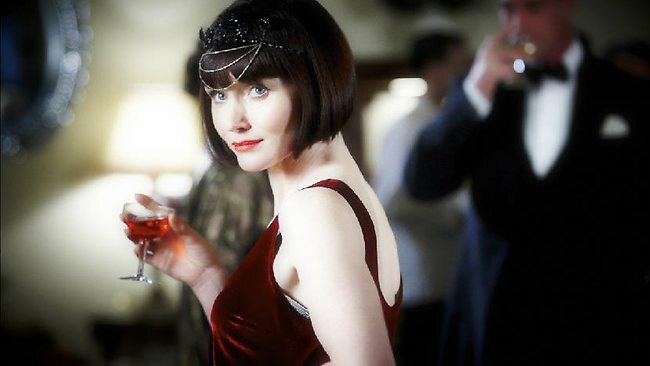 So, I don't know about you, but I know that ever since I have begun watching Downton Abbey and even an Australian tv show called Phryne Fisher, I've become absolutely head over heels obsessed with the fashion presented in the late 1910's and throughout the 20's decade. So today, having just watched my latest episode of Downton and coming out thinking 'how about doing a post on the history of fashion? ', I have decided to do pretty much exactly that, and I've been thinking, like my fortnightly Style Icon posts and such, to make the history of fashion a regular monthly post, so starting with the 20's, here's my first post! 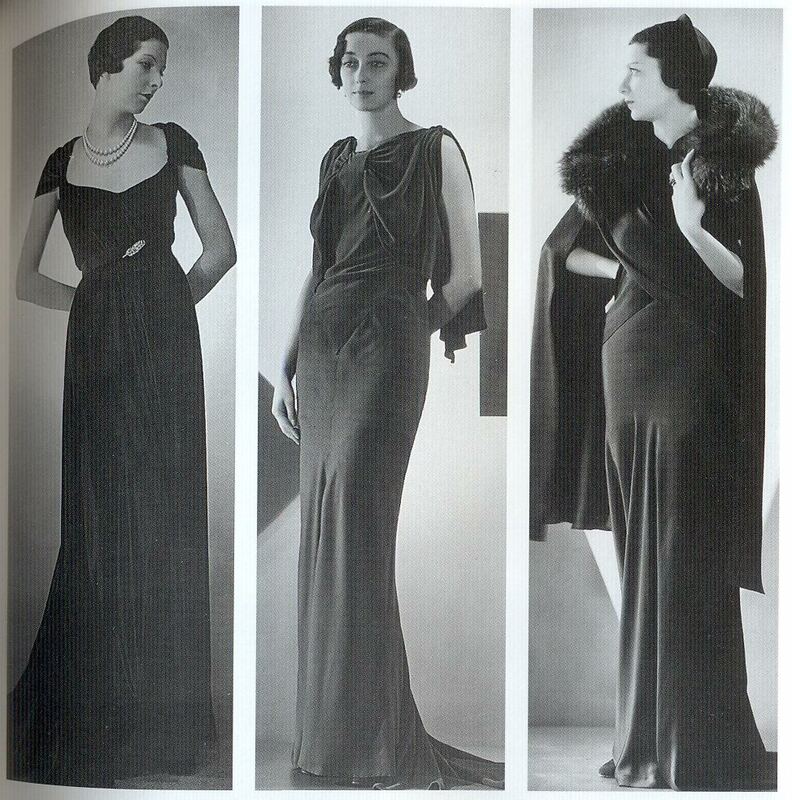 The 1920's was an era when fashion finally begun to become a little bit more unique and a bit less frilly and girly. A couple of years after the first World War (14-18), the women of the twenties had decided to get rid of the restricting corset-like dresses that covered up pretty much every little inch of skin on one's body, and dawn a new age of shorter skirts, shorter "bob" hairstyles and of course, a new, more masculine attitude to feminism (excuse my contradictory terms there). Phryne Fisher. Example of a flapper outfit. Probably the most iconic look that people nowadays would associate 20's fashion with has to be the "flapper" look, which, for those who do not know, comes from the post-war modern pro-feminism attitude where women began to redefine what a woman would stand for. It was the age where women became more identified, not as the property of the man as it was pre-war, but as independent and as capable of working as men were; and although equality between genders has finally begun to match just over the past few years, this was the dawn of the new age for women, where the seed for equality was first planted. 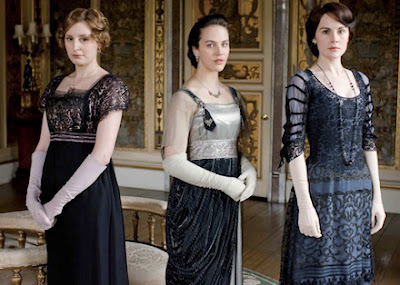 The iconic flapper look consisted of the evolution from shapeless dresses that the ladies would have been told to wear in the closer 1910's had been swapped and though, reluctantly until about mid-twenties, did the new trend of womenswear begin to evolve; the first three or so years into a more shapely gown consisting of pleats, gathering around the waistline and were more or less used to flatten the bust instead of making it more prominent as the 10's dresses did, and in the later few years of the twenties, waistlines were first lowered to more the hips, and then completely dumped. The flapper dresses were more subject to being functional to wear as opposed to the 10's dresses which were more featured to flatter a woman. Throughout the years, skirts became shorter, sleeves decreased in size and slowly, it became acceptable for a woman to show her arms and legs...it's crazy to think that these days, we walk around wearing denim shorts and singlet tops when just ninety or however many years ago, should we be wearing this at that time, we would be in deep trouble and frowned upon mercilessly. Fashion has a certain mental mindset, and with the flapper style, came a new attitude. Though it seemed quite unladylike to most in the 20's, this was the age where women begun to smoke, drink, swear in public (oh dear, they sound perilous). Because of the lack of men to work in factories and in offices when the war was going on, women were temporarily allowed to fill the positions, and it was from this point in time where women working really begun to show the turn in the tables. Another iconic 20's associated look was the birth of the bob haircut, which, I suppose in Vogue is still in style today. The short, ear length hair was defined originally as a bit out there and radical, but eventually by the beginnings of the 30's, was totally the new style to have, especially when women begun to wear smaller and less extravagant hats called "Cloche hats", due to their circular appearance, much resembling a kitchen cloche. This was absolutely one of my favourite times, as this was when Coco Chanel finally made her appearance which, if I may add, has definitely defined and shaped the style of a woman through the many years. 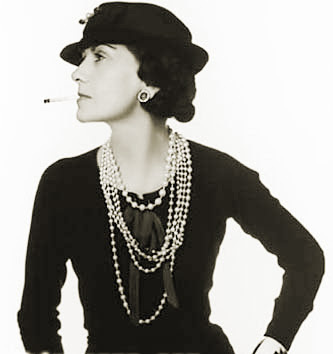 Like Downton Abbey's Mary Crawley, Coco Chanel is definitely one of my many styling idols, as, if you think about it, she was probably the most influential woman of the 20's. Her influence on many swayed the opinion of women wearing pants, blazers and hats, promoting feminism, that without her, women probably wouldn't have the style of clothes, or even rights, that we have today. Though at the beginning of her designing line, people frowned upon her and her idea of women wearing pants and blazers, I mean, "pants and blazer's are totally what men wear, right?" (Note that ol' sarcasm). But as the years went on, and Coco ditched the corset to create a more casual, even sporty, though still elegant look, she gained popularity and recognition for her new trending style. I could honestly talk all day about how amazing Chanel is, but I won't bore you with my babble. All in all, I don't know if it's just because I've become more aware of it or what, but even now as I'm walking down the streets and admiring some of the gorgeous outfits people wear, I do see little hints of the 1920's in every garment, and as cheesy as it sounds, I seriously and honestly believe that the 20's was the dawn of a new age.